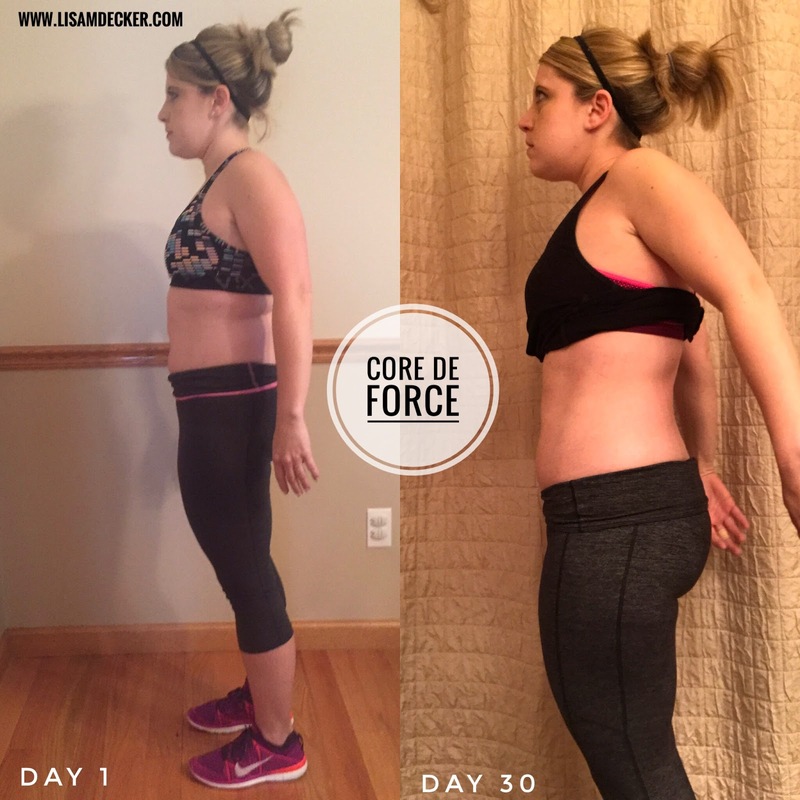 I am an official Core De Force GRADUATE!! Wooho!!!! And you know how much I loved this program? 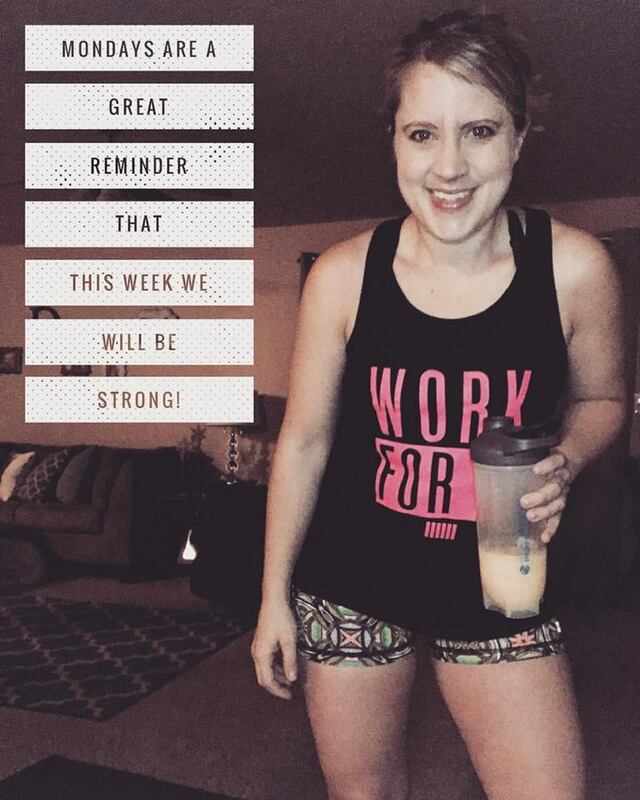 I'm starting ROUND 2 with the deluxe workouts on Monday! 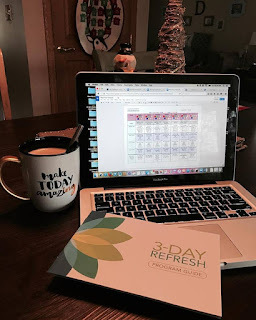 So, let's chat a bit about how Week 4 (and 2 days) went and what you can expect. 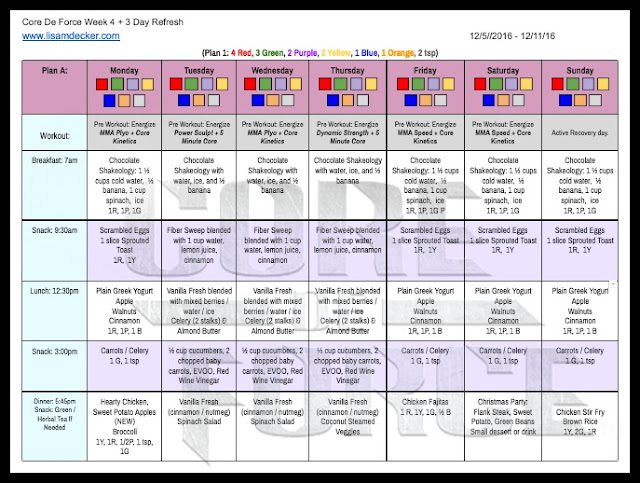 For starters, since the program is 30 days, Week 4 leads in to two additional workouts in to Week 5. *MMA Plyo - What happens when you combine Boxing, Muay Thai and plyometrics into one workout? You get a total-body shred designed to knockout hundreds of calories and spike your fat burn into overdrive. *Core Kinetics - Strengthen your powerhouse with unique MMA-inspired moves that help carve flat abs and tight obliques. *Power Sculpt - A total-body burner that uses explosive power and interval training to help sculpt lean muscle and build next-level endurance. *5 Minute Core on the Floor - The ultimate core finisher-5 challenging plank movements to help burn the belly and define, flatten, and tone the tummy. *Dynamic Strength - Low on impact, but high on intensity, this no-equipment, bodyweight throwdown helps carve impressive definition. *MMA Speed -Focuses on the upper body and is core-focused. *MMA Shred - This workout kicks things up a notch with Muay-Thai-inspired elbows and kicks for a head-to-toe shred that will lean you out fast. *Active Recovery - Recharge for the week ahead with this rest day workout that focuses on form and technique to fight muscle stiffness and soreness. *MMA Power - Using explosive and defensive-style movements, this fast-paced cardio conditioning workout will help you carve a tight lean body. The nutrition plan for Week 4 goes back to what Week 1 was. You do not add an extra fruit or an extra healthy fat for this round. 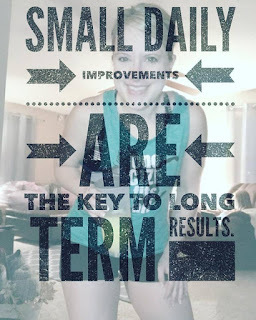 Moving back down in calories while keeping your workouts increased is what will maximize your results!! In addition to that, I actually added in a 3 Day Refresh throughout this week! 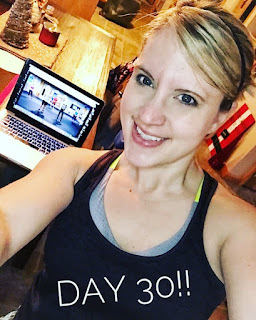 I choose to do this because I felt that I got a tad off track with Thanksgiving week and wanted to reign in my eating habits before I let the holiday temptations take a hold! 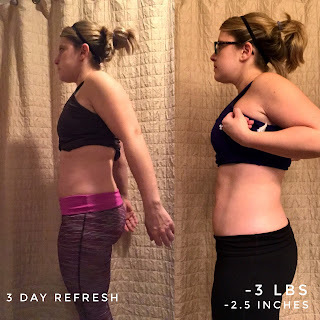 I had great success by losing 3 pounds but more importantly, felt refreshed, energized, and back on track! Along with the Core De Force plan and 3 Day Refresh, I have been keeping up with my daily Shakeology. I really can't say enough about how helpful and beneficial it is to have this on a daily basis. The holiday "treat" recipes (Candy Cane, Snickerdoodle, Gingerbread, etc) have been coming in handy with so many temptations everywhere! Who WOULDN'T want a milkshake for any meal of the day that tastes like a candy cane, yet it is healthy??!! So there you have it!! Core De Force is complete! There is only one last thing to share....MY RESULTS!! Before you jump down to those, let me tell you that I did not follow the program 100%. I wasn't super strict with my nutrition and truly followed that 80/20 rule. For the most part I stuck with healthy choices but I let some cheats slip in there as well. 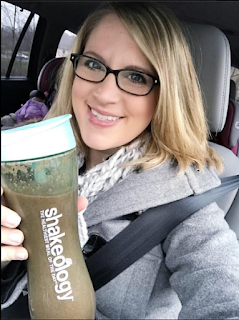 I'm excited to kick off round 2 and start the New Year because I do plan to tighten up my nutrition and get even better results! I saw the greatest benefit in my core area which is exactly what I wanted! I also saw great benefits in my arms. There are a good bit of push ups in some of the workouts and I definitely feel stronger because of it! Overall I am very pleased with my results! This is a program that I can definitely see myself doing multiple rounds of! I'm anxious to get started with the deluxe workouts as well as the TWO exclusive On Demand only workouts (MMA Speed 2.0 and MMA Shred 2.0)!! 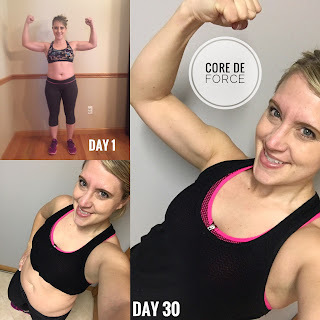 I would say that if you need a good stress relieving workout, if you like kickboxing, and if you want to really work that core area while still getting a full body workout in, then go with Core De Force!! Are you interested in some support on your health and fitness journey? 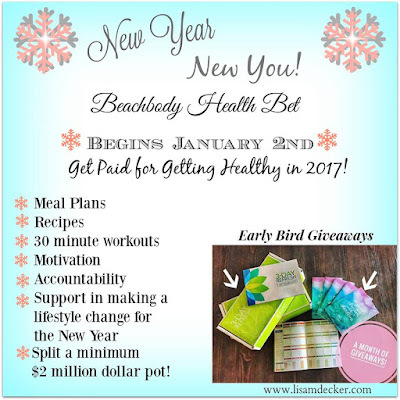 On January 2, 2017 I am kicking off my New Year New You Beachbody Health Bet group! How does GETTING PAID FOR GETTING HEALTHY sound to you?!! 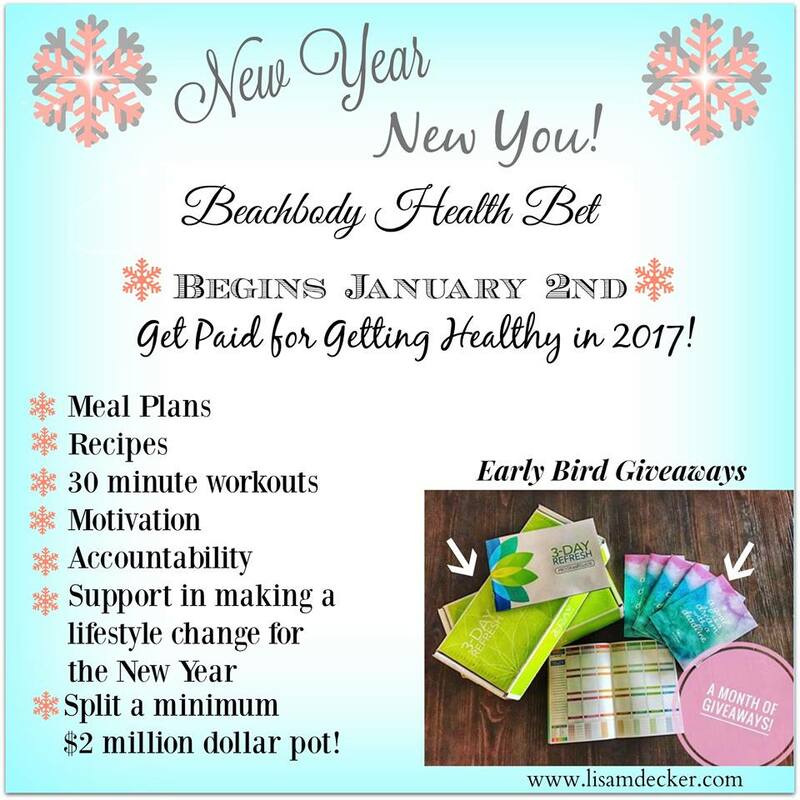 The group will kick off with a planning week on the 2nd and then the Health Bet will begin on January 9th! For specific details, including the $2-$3 million dollar pot of money for the Health Bet, click HERE!!! Who plans to have that New Year Resolution of getting healthy and in shape? Accountability has been a LARGE part of my success I've had thus far and I would love for you to experience the same thing! Fill out the application below to apply for my New Year group and I will be in touch within 24 hours!! If you prefer, you can also email me at lisamariedecker@yahoo.com !! I hope you enjoyed my Core De Force weekly reviews! !